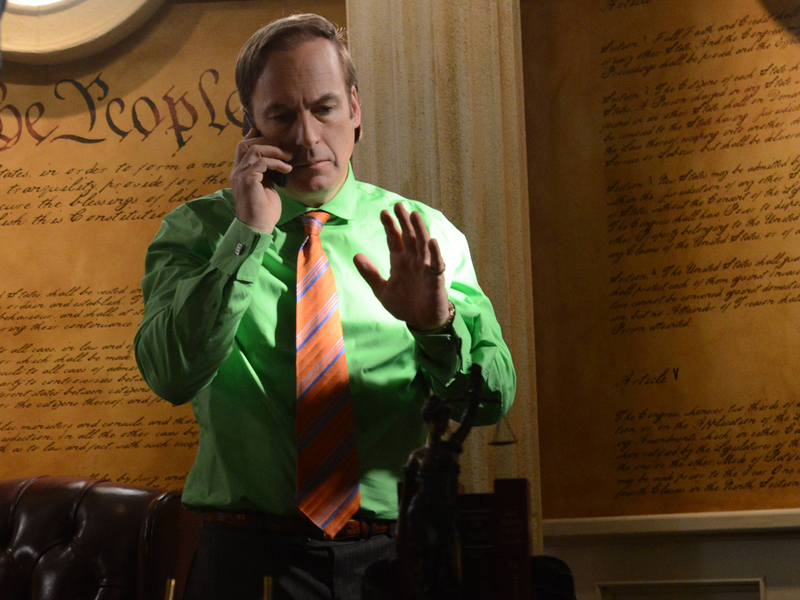 "Breaking Bad" may soon be coming to an end, but Saul Goodman is staying put at AMC. The network is moving forward with a spin-off called "Better Call Saul," centered on the shady lawyer character played by Bob Odenkirk. According to The Hollywood Reporter, AMC reached a licensing agreement with Sony Pictures Television for the drama's next iteration "after several weeks of negotiations." This news doesn't confirm anything about Goodman's fate in the remaining "Breaking Bad" episodes -- the spin-off will be a prequel. "As conceived, the new series is based on the show's popular Saul Goodman character with the working title 'Better Call Saul,'" the studio and network confirmed in a joint statement, per THR, adding: "plans call for 'Saul' to be a one-hour prequel that will focus on the evolution of the popular Saul Goodman character [played by Bob Odenkirk] before he ever became Walter White's lawyer." The prequel will star Odenkirk, with writer/producer Peter Gould set to run the series. "Breaking Bad" creator Vince Gilligan will reportedly remain involved. Goodman -- with his "Better Call Saul!" catchphrase -- has been a regular fixture on "Breaking Bad" since he was first introduced in season 2. The acclaimed series is set to finish up its final eight-episode arc later this month.